Plastic wig stands are ideal for proper storage and care ensures the longevity of your wig, available at Curly Sues Wigs & Hairpieces. 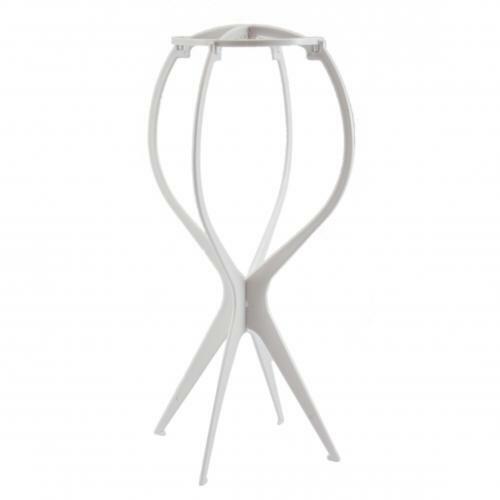 Plastic folding wig stands are ideal for storing your wig while not in use - helps to keep its shape, and also for propping it up whilst drying or styling. Proper storage and care ensures the longevity of your wig. Ideal for travel. Stores flat for convenience. Approx 30cm high.